The primary objective of the plugin is to provide protection against brute force attacks and guard your WordPress website from malicious activities. It restrains the user by blocking IP Address for a certain period of time after trying maximum retries. Why you need Limit Attempts Booster? Limit Attempts Booster is designed to manage the access of website users and provide bullet proof security to your website. Its perspective is to secure your account from hackers and bots. How to set Limit to Login Form? 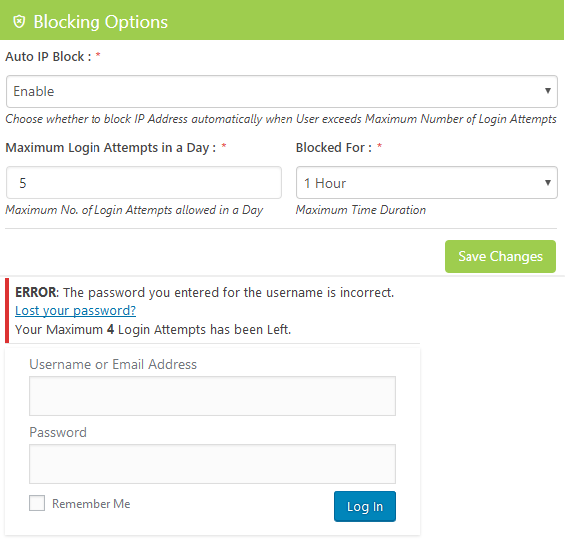 Simply go through a series of steps to set limits on your website Login Form. Limit Attempt Booster is a security solution for your WordPress website that provides protection to your site Login Form from brute force attacks by limiting the number of login attempts. 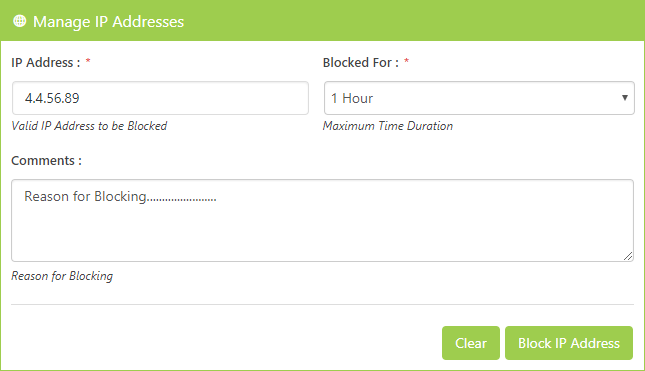 Provide the time duration for the blocked IP addresses, it can be 1 hour, 12 hours, 24 hours, 48 hours, week, month or permanently. It also informs users about the remaining login attempts on the login page. 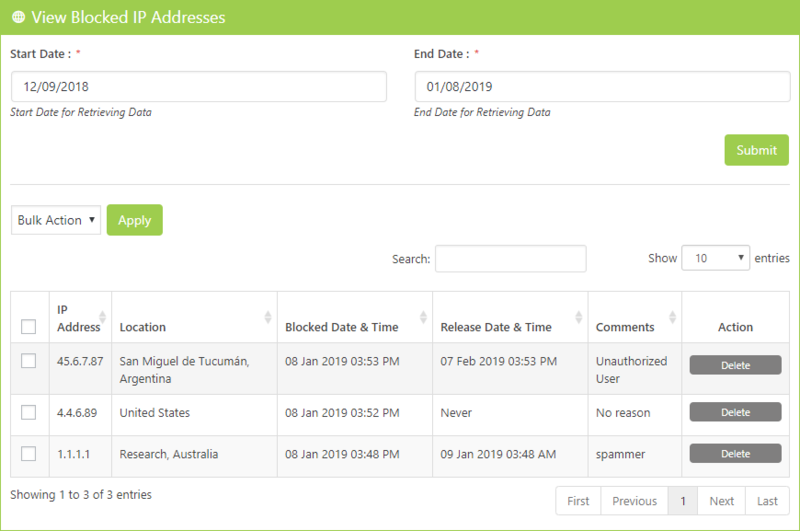 Limit Attempts Booster Plugin gives you access to manage IP Addresses so that you can protect your WordPress site from unauthorized users by blocking particular IP addresses. This plugin gives you access to block range of IP Addresses that are actively attacking your WordPress website. 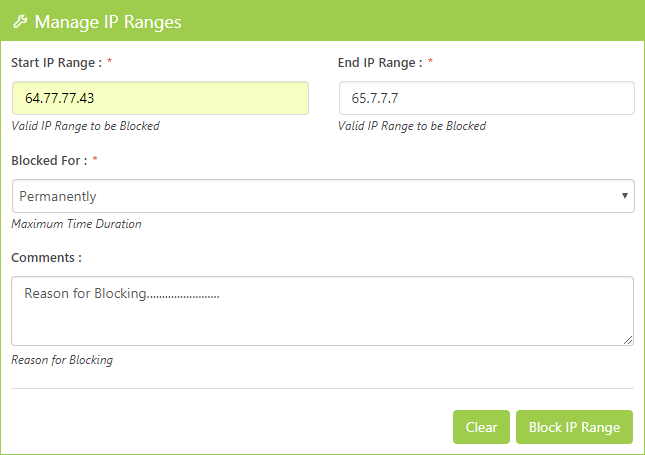 Just provide time duration with Start & End of IP Range which you want to block. 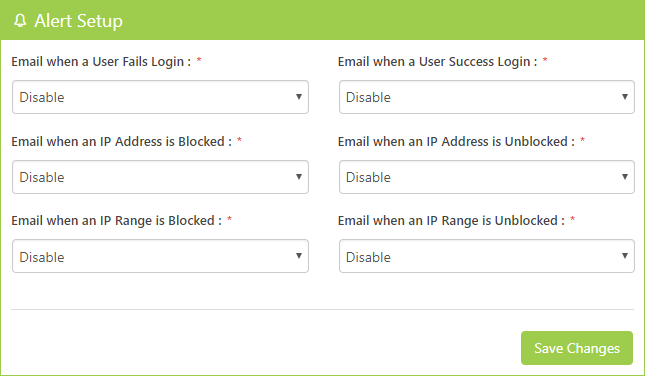 So in this way you can restrict the IP Range to prevent invalid login attack. 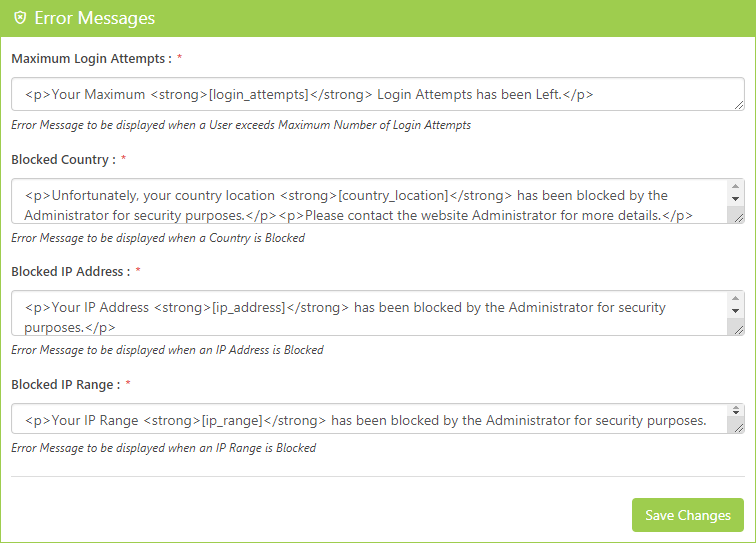 Another advanced feature is that you can block certain countries to prevent unauthorized access to your site. Using it, you can limit those countries who can access your blog / site. 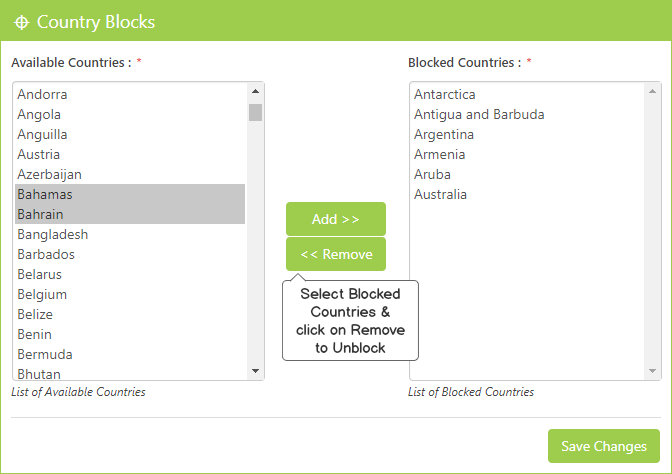 You can unblock countries by selecting one or more countries from the list of blocked countries by using the Remove button. This plugin allows you to get information about users who logged in to your site and also helps to displays their Geo location on the map. 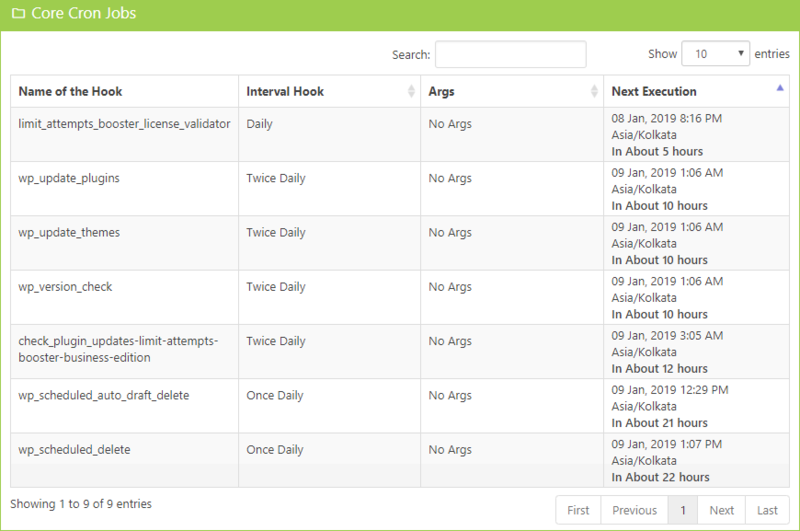 You can also perform different actions such as delete or block a particular user. 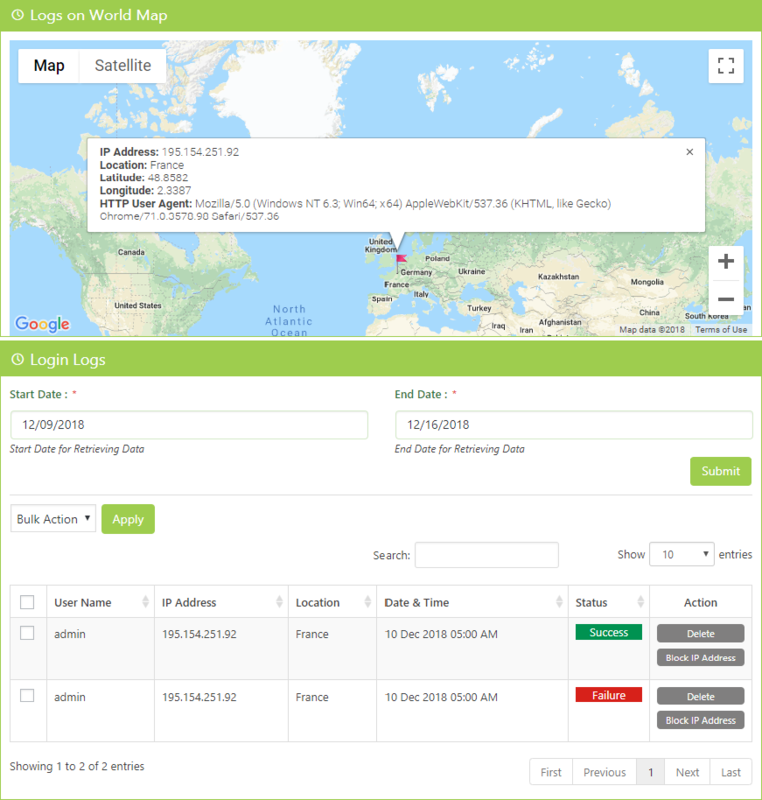 The map view shows an info window that gives information about the users IP Address, Location, Latitude, Longitude and HTTP User Agent. With alert setup, the administrator receives an email notification alerts when user perform different actions on the site. Limit Attempts Booster allows you to independently customize the error messages according to you. These error messages display when different events occur on your site. You might come across the need to create a scheduled task, for this Cron Jobs adds a panel that displays details such as List of the Scheduled events, Individual Schedule Interval and much more to pass to the hook function(s) for WP scheduled events. Our advanced reporting helps you to keep track of activities on your website. It provides the detailed information of all blocked IP Addresses. And also, you get the option to filter the reports with its status, IP Address, date. Do you have a question about Limit Attempts Booster? See the list below for our most frequently asked questions. If your question is not listed here, then please contact us. On How Many Sites Can I Use Limit Attempts Booster? You can install Limit Attempts Booster on Unlimited Sites. You will get a notification about the Limit Attempts Booster in your WordPress Back-End whenever an update is available. You can expect that Limit Attempts Booster will get improved, optimized, and bug-free plugin every time you will update. Limit Attempts Booster Pro Edition offers you Full Features, Support & Updates for Unlimited Sites. Limit Attempts Booster Developer Edition offers you Full Features, Support & Updates for Unlimited Sites with Contact Bank, Backup Bank, Gallery Bank, Coming Soon Booster & Captcha Bank Pro Edition. Whereas, Agency Edition offers Full Features with Support & Updates for Unlimited Sites with Backup Bank, Captcha Booster, Clean Up Optimizer, Coming Soon Booster, Contact Bank, Facebook Like Box, Gallery Bank, Google Maps Bank & WP Mail Bank Pro Edition. Lets set limit on your login attempts and protect your site from getting hacked.